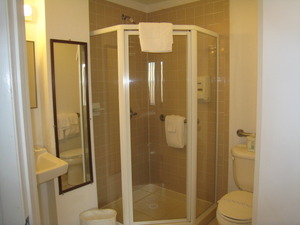 Max Occupancy: 6 Our largest room with 2 seperate bedrooms. 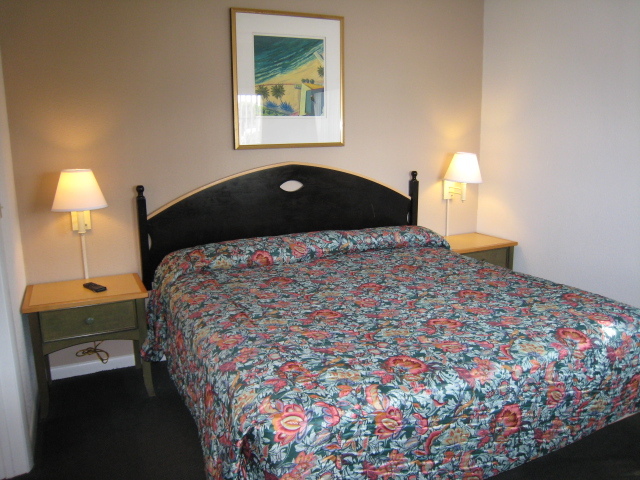 Master bedroom equipped with 2 full size beds. Second bedroom with 1 king bed. 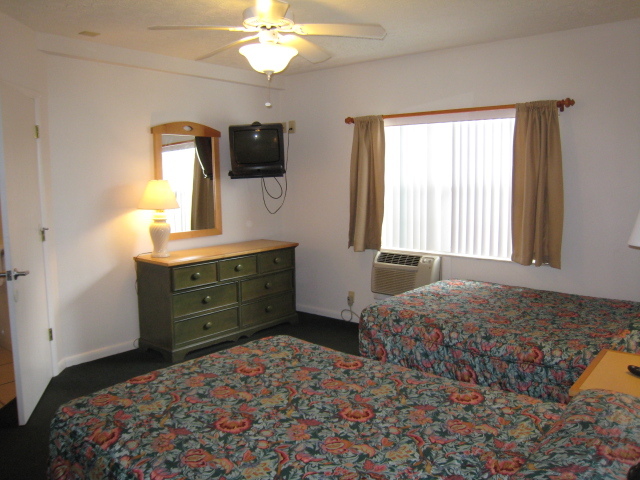 Each bedroom having its own TV and A/C unit. 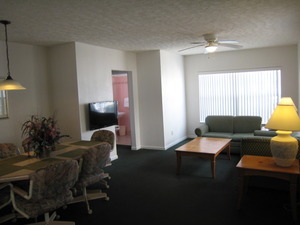 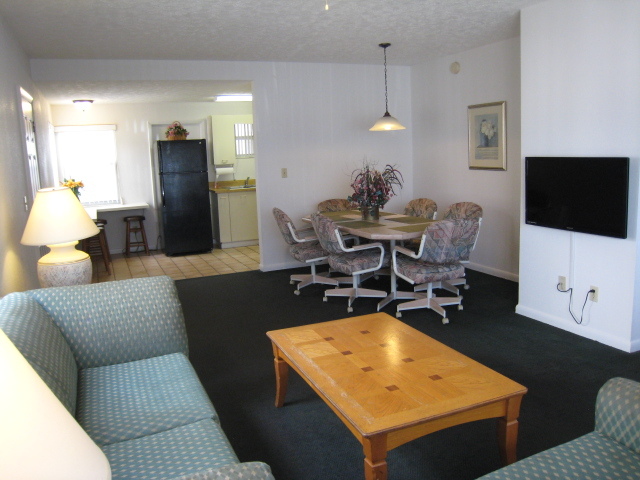 Living area comfortably equipped with sleeper sofa and easy chairs and large TV. Large custom kitchen with full size stove, fridge and microwave oven, coffee maker, toaster and all cooking and eating utensils. 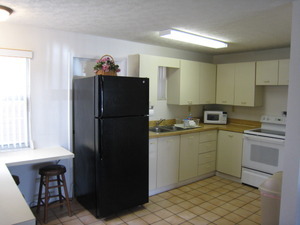 Dining area also included.